All roads lead to Tamworth in January for the annual Toyota Country Music Festival Tamworth. It's Australia's largest music festival and rated in the top 10 in the world. Each year the largest music festival in the southern hemisphere attracts around 50,000 visitors per day, with over 700 artists featured in 2800 scheduled events across 80 venues. The variety of country music is endless! There are over 600 buskers in Peel Street alone, providing a diverse range of entertainment each day. 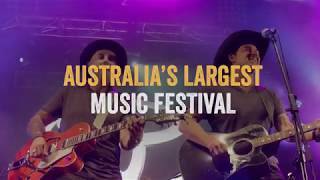 The pinnacle event of the festival is the Golden Guitars - Country Music Awards of Australia, when the who's who of Australian country music gathers with country music fans to see who will win the famous Golden Guitar Awards. The Awards are held on the second Saturday of the festival at the Tamworth Regional Entertainment and Conference Centre. 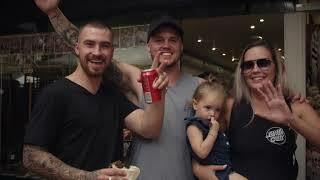 Toyota Country Music Festival Tamworth - It doesn't get better than this!